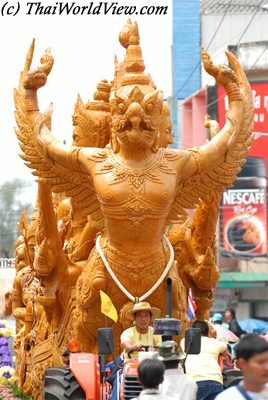 On the Sixtieth Anniversary Celebrations of His Majesty's Accession to the Throne, Ubon Ratchathani Candle Procession Festival 2006 is featuring an elegant sculptured candle procession, a trip to candle carvings, a light and sound performance. The highlight of the festival is the parade, which gets going around 9AM and includes dance and music. The parade passes major landmarks in the town. The competing candles, set on wax fountains or lotuses or statues of kings and gods from Khmer-Hindu mythology, are paraded through the provincial capital on floats. There is the accompaniment of children dancing the traditional dances of a farming society. Their movements symbolize the planting and harvesting of crops, the weaving of silk and other rituals of daily life. Presentations of Isan folk culture by some 2000 performers add a colourful aspect to this festival. 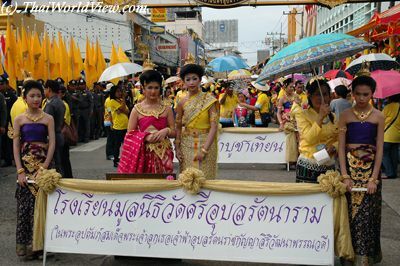 The magnificent Grand Candle Procession allow presentations of Isan folk art and culture. 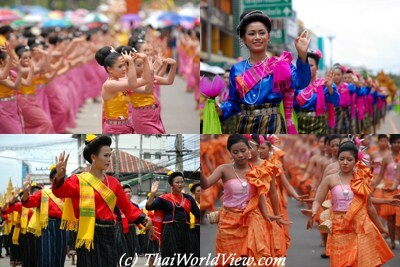 Wonderful traditional northeastern Thai costumes are worn by lovely girls and beauty queens adorn the floats. 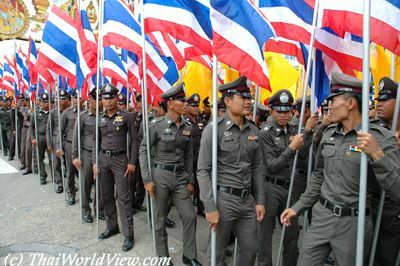 There are marching bands and country folk playing northeastern Thai music during the parade. 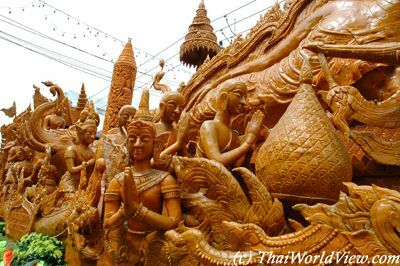 The Candle Festival of Ubon Ratchathani province features a procession of ornately-carved traditional beeswax candles of various shapes and sizes. Police and different administrative bodies participate to the Wax candle procession. 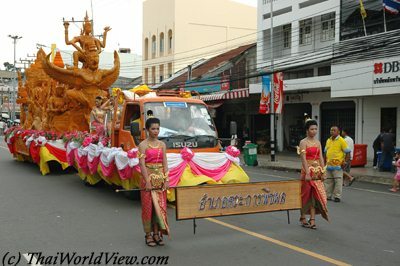 Troupes of costumed dancers are interspersed with flatbed trailers bearing intricately carved scenes from the life of Buddha.